This page is dedicated to K-9's who have passed on, but in no way will ever be forgotten. Norbo Ben-Ju One of the great legends, you will be greatly missed, you were a genetic wonder for sure. CGN, IPO3, SChH3, Selective Breed 4CI1/P 2.tr. Every time I see a great dog go; I realize that part of my life went to past too. Illo left such a soft spot in my heart. I am so happy that he lived in a home where he was appreciated (Stallworth Kennel with Melanie). Illo is a legend now. I most definitely will never forget him! 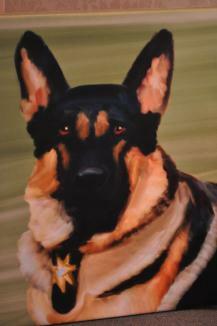 Illo was one of the greatest dogs ever in genetics and personal ability. Today I have learned that great dog passed away. 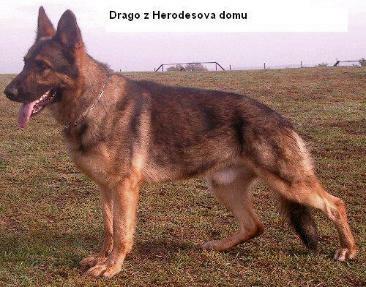 Dargo Ha Ja Da ZVV3, IPO3, SchH3, ZPS1 police dog, legendary stud and best friend of lucky few. I don't know if Frank called you - I suspect not because he has been very upset. I am sorry to have to tell you that Dargo passed away on May 4. The discs in his back got so bad in the middle of April that he could not walk or stand up. Frank carried him if necessary and we supported him with a sling (by the way - I had gotten his weight down to 76 lbs.) to go to the bathroom. On May 4, he just didn't have any energy at all, so we took him to the Vet. The Vet said he was building up fluid in his belly and it "was time." So, we had him euthanized while I held him. We miss him terribly but want to thank you for your part in bringing him into our lives. He was the best dog we've ever had and we consider ourselves VERY fortunate to have had him with us for four years. We really loved him. It just wasn't long enough. 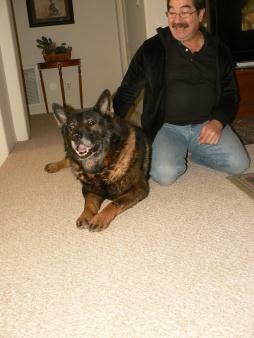 Dargo was a legend and we are proud and happy and are honored that we have had such a great dog ,..legend, in our lives. He still lives in his progeny.. The hard thing is that we have to pay with tremendous pain for the love, devotion and learning lessons about life and our selves dogs like Dargo give us. However it is a fair trade. As I always like to say about dogs like Dargo : He was a good Samurai. Please scroll below to see all pictures. 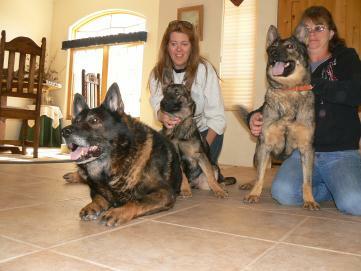 Our organization provides K9 for all purposes and we love to see our dogs to serve in a wide varity of situations. We are matching our dogs with situations in families with children, where they are providing companionship fun and protection, to the toughest of the tasks like police or even able to work with Israeli homeland defence special forces. Hero K9's all over the world from our kennels. Thanks Ron Camelot K-9 Academy. excellent training done by Amnon B.I. backed by superior genetic backgroud. This is what our German Shepherd Dogs are all about. Orion is a son of our BALI Panta-Rei and OSSI z Antdagu. Israeli media is in admiring this awesome hero who loves his guys and protect them without hesitation. ORION WAS DURING THE ATTACK ONLY 8 MO OLD! 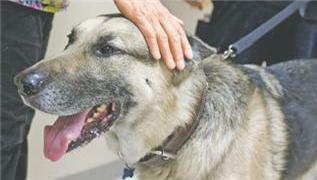 New Hero K9 Jack Scroll down for story and picture. The following incident occurred on Sunday Aug. 13, 2006 in Scottsdale Arizona. 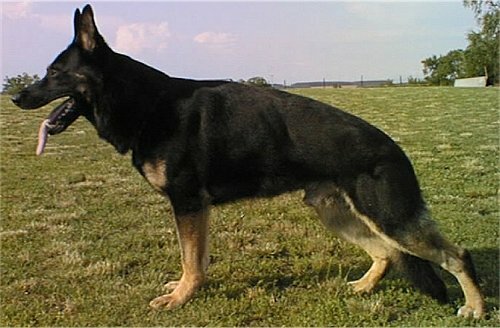 I was awoken by a loud bark from my 2 year old male German Shepherd named Jack. 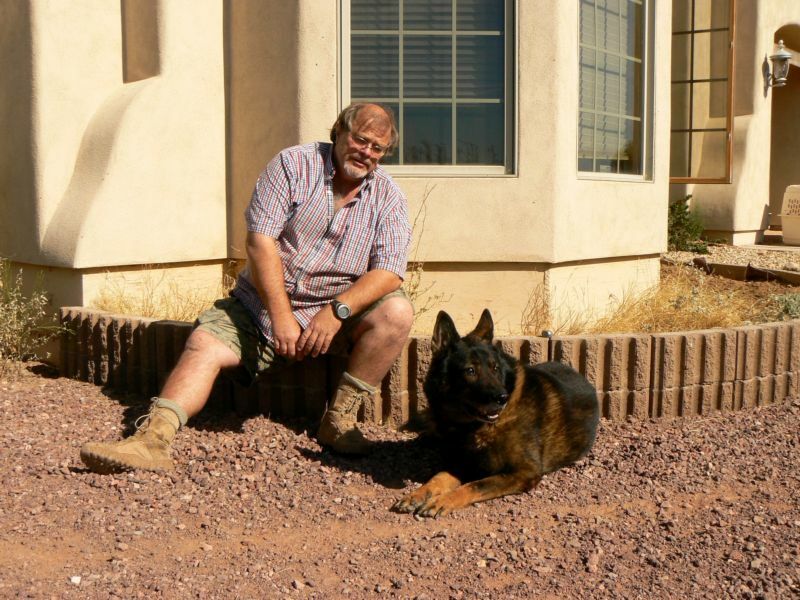 Jack is a Czech German Shepherd that I obtained from Alpine K9, and was trained in a personal protection sport called “ZVV” which is similar to Shutzhund here in the U.S.
source of Jack’s concern was my wife moving the headboard enough to hit our wall. When she denied doing this, I realized I would have to make the rounds around the house to make sure everything was OK.
My wife’s sister was visiting at the time, and she was using my nine year old son Jonathan’s room. Jonathan was sleeping on the fold-out sleeper in our family room. As I opened the master bedroom door, I noticed that Jon was not in the sleeper as I had expected. I was not immediately alarmed since Jonathan would often sleep in his older brother, David’s room many times during the week. As I approached the living room, I could make out a figure lying in the smaller love seat. I was puzzled because the length of the shape was much longer than my son Jonathan’s. Jack approached cautiously and started to a low guttural growl again. As I approached the figure on the couch, I was able to discern facial features and realized that this was someone that I did not recognize! the kids had anyone in the neighborhood visiting for a sleep-over. My wife replied that none of the kid’s friends were spending the night. At that point I told my wife that a stranger was in our house and to dial 911. I quickly opened my gun safe and retrieved a Springfield XD 9mm subcompact with a laser attachment. Knowing that the police were on their way, I racked a round into the chamber, swallowed hard, and went out to face the danger that had now materialized. I turned on the foyer light giving me more light to discern the figure lying on the love-seat. It looked as if the stranger was sleeping. I turned on my laser, and kept the weapon trained on this new threat. I commanded Jack to go into a “Leeday” command which is the Czech command for watch and guard. If the intruder were to wake up and attempt to get up, the dog would immediately attack. Jack lay down immediately, ears erect and alert, with full attention on the intruder. 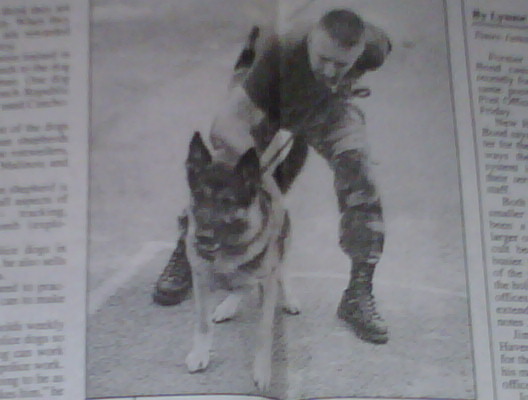 There was no doubt in my mind that this 100 pound German Shepherd Dog would lay down his life for mine. kids and barricade herself and the kids in case the situation got worse. settled in the chair across from the intruder, waiting for the police arrival. individual was definitely from a different background and culture than my own. I decided to leave the intruder guarded by Jack and find out about my children. officer, with Jack by my side as backup to the officer. before turning in for the night! They all die too soon and we pay hard,..very hard price of pain for the love, devotion and honesty we get from our dogs. These dogs were put here to teach you these and other qualities and that is why they sometimes needed to go a little earlier then most. Long time ago I have realized that such pain is our tuition which we pay for that learning. It a painful but fair deal. If you feel such pain then such dogs have done absolutely everything they could for us and for that we owe them that we will never forget them. I know exactly the pain, you all whose dogs have died. You must look at their death from different angle. The angle which I have offered you above. Then and only then you will accept their untimely demise with more ease and yes with gratitude for what they have done for you. And how they have changed you for the better. All these dogs are amazing sages. 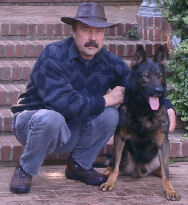 I have met Aiko when I was transferring replacement K9 Roky on Paul Corso. 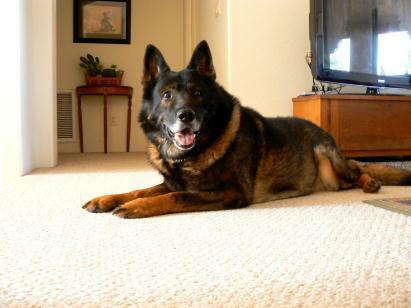 He was an excellent K9, friend, and partner of Paul and a member of his family. I am sorry that he had to go in dogie heaven. They always go too soon. He OK now. This always reminds me that we pay for their love, devotion and protectiveness with our pain. I am sorry Paul.....I know how it hurts. Aiko assisted in the capture of 272 wanted people and found over $426,000 worth of narcotics after beginning duty in 2000. 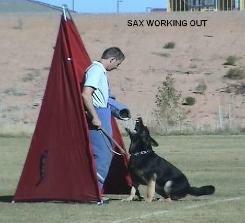 Aiko was Gwinnette county SO K9 handeled by Paul Corso. For more details read the link below. He has promised to wait for me... whenever... wherever — in case I need him. And I expect I will — as I always have.